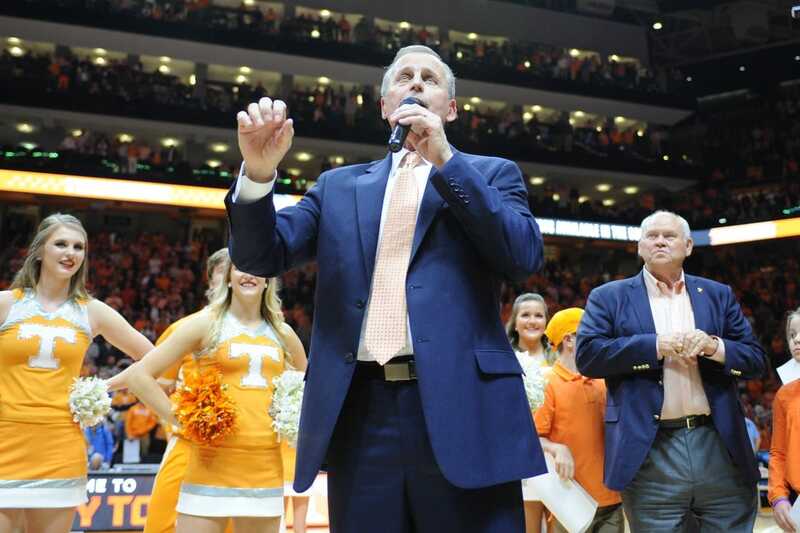 Tennessee basketball coach Rick Barnes received a three-year contract extension on Thursday that will allow him to make $21 million in base salary over the next six seasons. The extension puts Barnes under contract through the 2023-24 season. He was named the SEC Coach of the Year last season when the Volunteers went 26-9. Barnes was signed through 2020-21 prior to the extension. He will make $3.25 million in base salary this season and will receive a $100,000 raise each season, topping out at $3.75 million. "Rick has done an exceptional job of re-establishing our men's basketball program into a championship-level program," Tennessee athletic director Phillip Fulmer said in a news release. "He stepped into what was a difficult situation as our program was struggling to find stability, and he's very quickly instilled a winning culture during a time when Southeastern Conference basketball is becoming increasingly competitive. "He runs his program the right way, surrounds himself with an incredible staff and he loves his players and pours himself into their development both on and off the court." Barnes has a 57-44 record in three seasons at Tennessee. Expectations were low last season when the Volunteers were predicted to finish 13th out of 14 SEC programs, but Barnes steered a young team into a tie for the conference title with Auburn. Tennessee was ousted from the second round of the NCAA Tournament by Loyola-Chicago. Expectations will be a bit higher this season, and Barnes is just fine with that. Barnes is 661-358 in 31 seasons as a college coach. He previously coached at George Mason, Providence, Clemson and Texas.